I am thrilled to be joining these visionary artists in bringing you Mas Out There! Live music, video, dance, arts and design all co-mingle in a true collaboration. 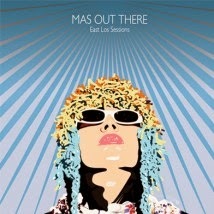 You can be normal, and you can be out there - but we invite you to be... Mas Out There! These cultural raconteurs explore the sights, sounds, and cultural fringes of the universe.